Press Release (ePRNews.com) - FORT COLLINS, Colo. - Sep 15, 2017 - Northern Colorado – Ruth Beauchamp, the visionary collaborator, career coach and mediator behind Oranda LLC, a consulting firm that fosters positive and productive work environments, has been named International Educational Entrepreneur of the Year by the International Academcy for Education Entrepreneuriship (IAEE). Through Oranda, Beauchamp propels individuals and organizations forward in their purpose by rolling up her sleeves, inspiring or guiding as a consultant, coach and mediator. She consults with heart-centered organizations and solo entrepreneurs and provides career coaching to career changers, young adults and teens to discover career matches that align with their assets and aptitudes. Her mediation practice focuses on family and workplace resolutions. Beauchamp earned career coaching certificates in Global Career Development, Narrative Assessments and Who You Are Matters! Facilitation, and is trained as a mediator with Phoenix Strategies. She holds a M.A. in Organizational Leadership, principal, administrator credentials from the University of San Francisco; elementary and secondary teaching licenses from San Diego State University; a B.S. in Consumer Food Science from the University of California, Davis; and an A.A. in Spanish from Foothills College. Beauchamp is the eighth educational entrepreneur in the past eight years from throughout the United States selected by IAEE as Educational Entrepreneur of the Year. Oranda LLC’s Focus 1-2-3 app helps parents, children and teachers create positive environments for learning; support the needs of diverse learners and the whole child; and develop lifelong habits to improve energy and learning. In less than five minutes, Focus 1-2-3’s activities help turn fidgets to focus, antsy to alert, dazed to engaged, and blah to best. Focus 1-2-3’s energy shifting strategies are inspired by experts in mindfulness, neuroscience, occupational therapy and active learning. It’s brain-compatible learning that helps teachers meet daily requirements for physical activity while teaching life skills to manage one’s mood and stress levels for today’s and tomorrow’s learning and workspaces. Oranda was inspired by the proverb about teaching others to fish. Oranda is a curious looking goldfish with a brainy-like mass on top of its head. She thrives under the best of conditions. Just like us! After nearly 10 years of classroom teaching and 10 years of teaching teachers, Ruth Beauchamp founded Oranda as a not-for-profit to publish and curate educational resources that help teachers, schools and communities engage, connect and grow together. 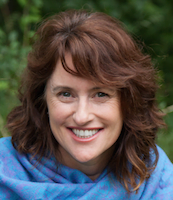 Her experience in visiting 1000s of classrooms with stressed-out teachers and students, and disengaged students and discouraged teachers compelled her to synthesize what she had learned from her 20 plus years in education along with her interests in mindfulness, active learning and neuroscience. The mission of IAEE is to identify, encourage, and support educators who have already invested or are interested in investing time, energy, and capital to create, develop, and market programs, products, services and/or technologies designed to enhance and improve education. Former teachers, school administrators and entrepreneurs, Dr. Don Leisey and Charles Lavaroni founded IAEE and popularized the term “edupreneur” to bring attention to the entrepreneurial spirit exuded in educators whose reach extends beyond their own classrooms and school communities.